What do you think about when you hear the words trust and confidence? The dictionary defines trust as ‘confidence; reliance on the integrity, strength and ability of a person’, while confidence is defined as ‘full trust, belief and reliability in a person’. The two words are interrelated and complement one another. When you take your car to a garage to have the brakes repaired, it would be fair to presume that your expectation is that a professionally trained, qualified, experienced and accredited mechanic will complete the work. Similarly, when you catch a flight, or have to visit a hospital, your expectations are that the pilot or surgeon is equally trained, qualified, experienced and licensed/accredited. Your life could literally be in their hands, yet how often have you boarded a plane and asked to see the pilot’s license, or the surgeon’s medical certificate? We don’t, although some of you may be tempted now! The reality is we tend to presume these people know what they are doing simply based on their profession. You are important! If you are planning to engage the services of a coach or mentor, it is highly likely that you are seeking support for an issue that really matters to you be it personally or professionally. If you would not leave your car with an untrained mechanic, or fly with an unlicensed pilot, or agree to be operated on by an unqualified surgeon, why would you want to engage with a non-accredited coach or mentor? The same can be said if you want to train to become a coach or mentor; presumably you want to work with a training provider that knows what they are doing? That is where the International Authority for Professional Coaching & Mentoring can help. We believe that our accreditation standards are the best in the industry. If applicants do not meet our requirements, they are not accredited; additionally, we check all our members to ensure they still are fit to practice, every three years. We also have a strict Code of Conduct that they must follow and a comprehensive complaints process in case they don’t. 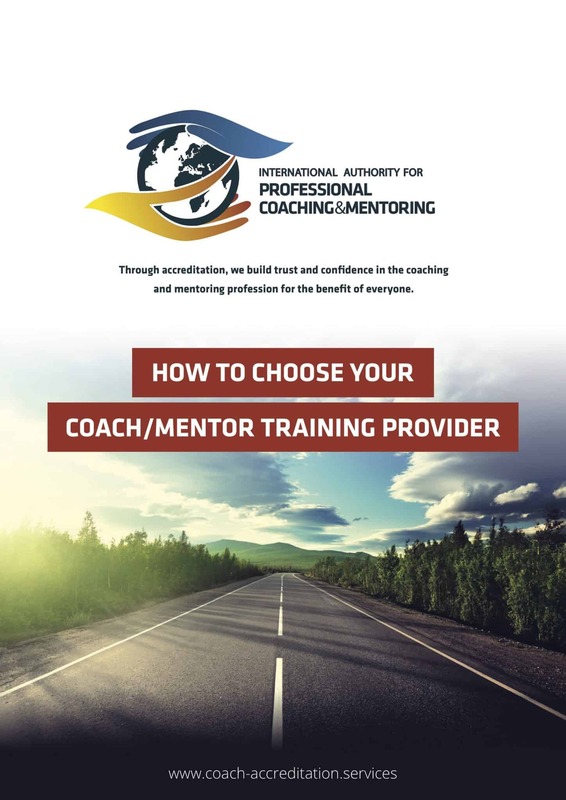 If you believe that the reason you are engaging with a coach, mentor or training provider is important; if you believe that your issues is too significant to put in the hands of the non-accredited, then we recommend you choose one of our accredited members. We encourage you to contact them, in person, and talk to them about how they will meet your specific requirements. to consider how successful you could have been if you had worked with one of our accredited members’? Remember, if something is important to you, it’s important to us too. So, please make an informed decision based on your research, because choosing wisely could make all the difference to the outcome. “I believe my experience is an all too common one when starting out as a trainee Coach. I decided to hire a personal life coach, so scouted the local internet for qualiﬁed coaches – one with letters after their name. I had no idea what qualiﬁcations or indeed what the criteria was for choosing a coach. So I selected someone who had a pretty ofﬁcial ICF logo (Institute of Coaching) after their name, and thought that would sufﬁce, so paid my money. I had no idea then that this wasn’t any ofﬁcial endorsement whatsoever! Fast forward six months, and I’m a trainee coach with my ﬁrst prospective client, who in turn asked me if I was a qualiﬁed coach, she also wanted to know if I could prove my credentials. My prospective client advised me that her friend had used a coach who had treated her badly, so she needed to be reassured that I was a qualified, experienced and accredited coach before she would consider me. 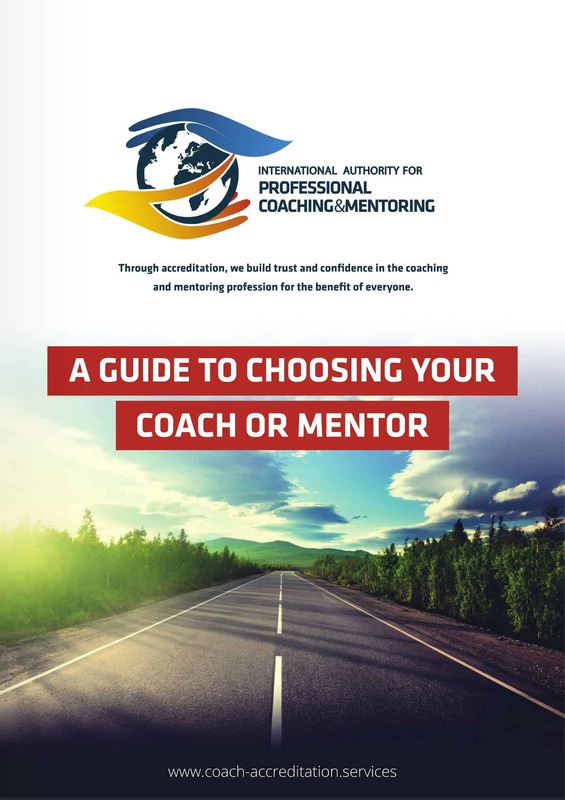 I had just completed my coaching course, with Achievement Specialists, which incidentally is accredited by the International Authority for Professional Coaching & Mentoring (previously known as the IIC&M), and was awaiting conﬁrmation I’d passed. Therefore, I skirted around the issue so as not to give an untruth, relying instead on my historical work experience and many hours spent within my coaching practice.